Batak is the collective name of six ethnic groups living around the immense Lake Toba in Sumatra. Apart from their shared name and region, the Bataks have little in common: each group has its own identity, culture and language. Despite centuries of influence by Christianity and Islam, they have managed to partly retain their unique traditions and religious practices. 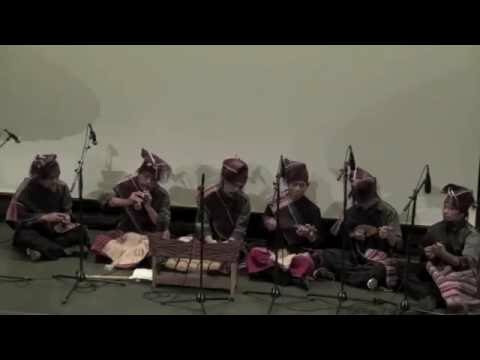 Gondang, instrumental music of the Batak Toba people, is played on traditional instruments such as percussion, gongs and flutes. Its rhythmic structure is considered to be one of the most complex in Southeast Asia. Brothers Marsius Sitohang (nicknamed the king of sulim, a bamboo flute) and Sarikawan Sitohang (the king of hasapi, a lute) are renowned for the intensity and virtuosity of their playing. Together with other musicians from the region, they have founded Mataniari in order to preserve their musical traditions.